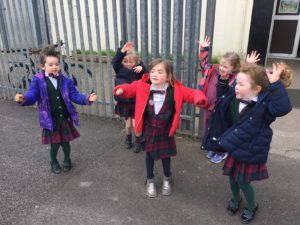 Tá Gaelscoil an Ghoirt Álainn ag céiliúradh Seachtain Ghníomhach faoi láthair. Déanfaidh gach paiste Obair Bhaile Ghníómhach amháin gach oíche. Gaelscoil an Ghoirt Álainn is celebrating Active Week this week. Each child will receive active homework assigned by class teachers this week. Obair á dhéanamh chun an Brat Gníomhach a bhaint amach.